Who’s excited that Spring is here? I know many places around the country are still knee deep in snow. I am praying that in a couple weeks when Rob and I fly up to Boston that the snow stops because we have to end up in Washington, DC for Rob’s work conference. So here’s the list of things I’d like to do before Spring is over. So from March 20th through June 21st, I think it is, is the period of time to do these things. What’s on your Spring list of to do’s? What did I leave off? 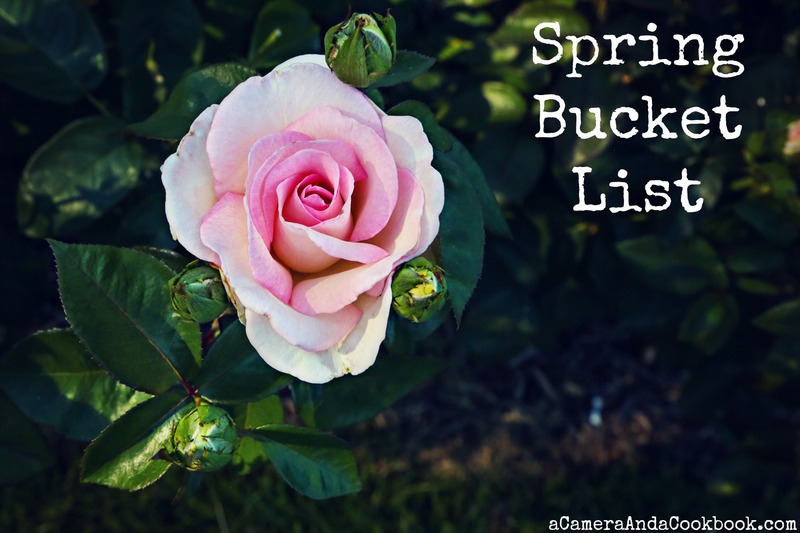 Would love to have you join us for our spring bucket list updates on 04.21 and 05.21. And then our summer bucket list reveal on 06.21. If you are interested, please email me so I can add you to the emails I send with reminders and link-up codes. Painting rocks is on my list! And baseball games. For whom do you cheer? My PC plays in a 50 and older league so he is my favorite player but he loves the Reds, so I cheer for them, too. Yeah, that sounds fun so count me in. We like the Atlanta Braves because my husband grew up in the Atlanta area. We also like the Toronto Blue Jays for a variety of reasons.